"We’re at the top of the Palouse, right on the edge of the forest, right on the edge of Idaho." Joe Biggs is the head guide at Double Barrel Ranch, located in the Spokane Valley near the town of Rockford. Biggs grew up in the area and has hunted birds here since he was young. Now he works with Jason Olmstead, the owner of Double Barrel Ranch, on a licensed bird farm country preserve with low, rolling hills and a bit of forest land. The preserve is located on 3,000 licensed acres. The Olmstead property consists of the bird hunting area and an additional 1,500 acres, part of which is dedicated to a sporting clays course. The sporting clays side of the business is managed by Jason Olmstead's father, Ron Olmstead. The complex course includes a five-stand, a woods walk and a high scissors lift target, which requires 12 to 15 feet of lead. I hit the target on the second try. We hunted in the fourth week of September on an early fall day that was headed to a high temp of 80 degrees. Our first hunt began at 9am. We hunted released pheasants in tall cover on the high side of the property up against the forest line. There were elk tracks around the water tank placed for the dogs. 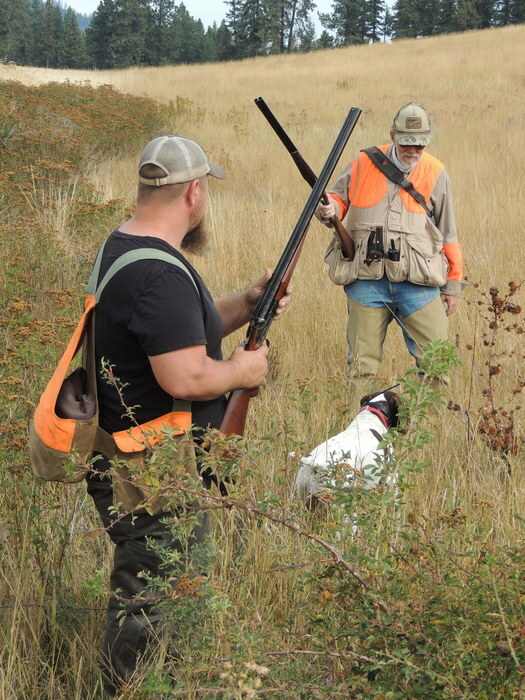 Our second hunt was for Hungarian partridge, on a series of hilltops and low ridges. Because our dogs were getting too warm in the September heat, we quit early, but not before we'd pointed a dozen Huns and taken several for dinner. I found the ranch staff to be knowledgeable and helpful. The facilities are comfortable, clean and modern. The bird cleaning room is one of the best I've seen. The ranch is planted in CRP crops to support wildlife. Native grasses, bluegrass, straws, wheat and Columbia Basin wild rye are in evidence in the bird hunting areas. Food plots are located back in the timber, cattails surround the ponds and timbered draws are available for winter hunts when there is snow on the ground. We hunted in chest-high wild rye mixed with wheat, sorghum and millet. Birds were planted a couple of hours before our hunts. Olmstead does not raise the birds that are stocked on the preserve. Instead, birds are brought in from Wisconsin and from North Dakota, from breeders known to serve higher-end preserves. Good natural production allows for some wild birds (valley quail and Huns) to thrive. There is some carryover of pheasants each season. Guide Jack Harkins reported seeing a lot of quail in the area this year. "It seems like they’ve had two batches (of chicks). The dry weather has been great for the birds. We’ve seen a lot more roosters running around this year too." Because this part of Washington is prone to warm September days, which can stress dogs quickly, most bird hunts are scheduled for the end of September and beyond. Hunts continue into early April. Olmstead says there are eight different main bird hunting areas. Most hunts are scheduled for pheasants or Hungarian partridge or a combination. Later in the year, the ranch offers chukar hunts. Valley quail are also found on the ranch. 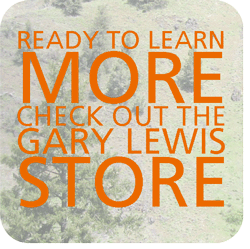 "We’ll tailor the experience to what any hunter needs. We have enough land and habitat to support what any group wants to do," Olmstead said. Both non-guided and guided hunt options are available. For five released pheasants or seven chukar or seven Huns, the non-guided cost is $170. There are no limitations on the size of the party. For 10 pheasant or 14 chukar or Huns, non-guided, the cost is $330. Bring your own dog for the non-guided hunts. Guided hunts include guide, dog and bird cleaning. For five pheasant or seven chukar or Huns, the cost is $260. For ten pheasant or 14 chukar or Huns, guided, the cost is $440. For 50 pheasant or 70 chukar or Huns, guided, the cost is $1,950. In Washington, no license is required to hunt birds on a licensed preserve. Hunter orange is required. In addition to the wingshooting, Double Barrel Ranch offers turkey hunts for Merriams on the property and on surrounding leases that total close to 40,000 acres. Double Barrel Ranch offers combination pheasant and turkey hunts in the last week of April. Turkey season runs from April 15 through May 31. Traveling hunters can stay in a hotel in nearby Spokane or book the lodge. Olmstead reserves the lodge to one party at a time. The lodge is a two-story farm house with three bedrooms and nine beds. The walls are decorated with whitetail deer, elk and bears taken on the ranch as well as pictures from many of Olmstead's hunts. Downstairs is a full gourmet kitchen, a large dining room with a table that seats 10, gas fireplace and a large, heated mudroom that provides a high level of comfort for a house-trained dog. WIFI and cable TV are provided. There is an additional eating and meeting area in an adjacent building, equipped with a flat screen TV. There is a firepit and a large outdoor BBQ. To rent the lodge costs $250 per night for 1-2 guests. The cost is $325 per night for 3-4, $400 for 5-7 and $475 for 8-9 guests. Most hunters opt to take care of their own meals, but the ranch can provide for full catering if requested. Spokane, with all services is 17 miles away. The ranch is a 30-mile drive from Spokane International Airport. Rental cars are available through major agencies. Rockford, with a population of 470 is the nearest small town to the ranch. Small airplanes can access Felts Field which has a 4,499-foot runway and a 2,650 foot runway, VFR only. For a bit of luxury to mix with the hunting, Olmstead recommends the Couer d'Alene Resort, which is a 35-minute drive from Spokane on Interstate 90.